Ahmed Akbar Sobhan(born on 15 February 1952) is a great name on the list of successful persons in Bangladesh. 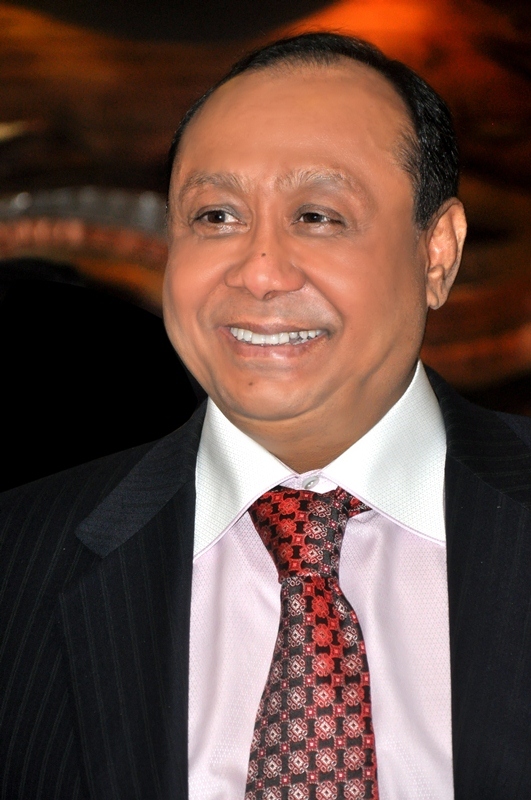 He is one of the most successful Bangladeshi business magnates who is greatly connected to Bashundhara Group. If you are thinking of the connection between Ahmed Akbar Sobhan and the Bashundhara Group then you should know that he is the Chairman of the business conglomerate “Bashundhara Group“. He is an optimistic and visionary businessman, and he is the founder of Bashundhara Group, which is operating in various lines of activities including real estate, cement manufacturing, paper and allied products, steel products, LP Gas, Shopping Complex, local and international trading. Bashundhara Group is a famous name in Bangladesh, and in present day it is one of the most valuable companies by market value. According to the present Bangladeshi trading situation, it is the second-largest Bangladeshi company by turnover. Education is the backbone of a nation and his group has a great participate in education but for the educational qualification and life of Ahmed Akbar Sobhan, you must know that he was born in Islampur of old Dhaka City area. He is the youngest son of Alhaj Abdus Sobhan. He was a great lawyer at Dhaka High Court and he was also a great lawyer of Umme Kulsum. He has a brother and four sisters and hails from a distinguished family. He has completed his graduation from the University of Dhaka. His sector of study was Business or Business Studies. His student life was great and he was really a great student in his faculty. His department was very pleased with his successful results. Besides his study, he was also very good at other curriculum activities as he was a sportsman and one of the fittest in his batch. Mr. Sobhan is very successful in his business career. In the year of 1978, Mr. Sobhan first started business enterprise by the field of service sector along with his commercial trading in the domestic front. In his first business he was great and this was the starting of his successful business life. The journey of the Group was started with the establishment of its mother company in the fashion of East West Property Development (Pvt) Ltd. After a few days the group gets popular and then it known as “Bashundhara Housing”. Since its inception and until now, it is maintaining the quality of its service as well as the trust of its target group. Aim shows the destination to a person and for Mr. Sobhan it is also true. His aim and his dream made him a successful person in his business life. Undistorted aim, absolute integrity, patience and untiring efforts are the secrets of Mr. Sobhan’s unobstructed success. Despite many adversities and ups and downs, he has become the father of a giant in group of enterprises comprised of nearly 3 dozens of moderate to heavy ventures steel & engineering, paper, tissue, cement, LP Gas, sanitary napkin, multi-paper, dredging, shipping, food and beverage, galvanized iron pipe, etc. He never get tensed about any ups and downs and he always believe that there is a sun behind every night. IT mainly helps him to build his group and also to take it in this place. These enterprises have contributed to cut down the dependence of Bangladesh on import of its covered sectors significantly. Under his able leadership over the years, Bashundhara Group has successfully implemented a well-designed corporate management structure with clearly defined responsibilities and delegation of authority for project implementation keeping the track of accountability. Now by his effort the group has come to this place as the biggest business group in a country like Bangladesh. Mr. Sobhan endorsed different development tasks for the group under the coverage of corporate social responsibility (CSR). His social responsibilities often transcend borders. He is also actively associated with various socio cultural and humanitarian activities for the development of the society as well as of the common people.